Two North Carolina electric cooperatives recently helped fire departments in their service territories attain zero-interest loans through the U.S. Department of Agriculture’s Rural Economic Development Loan and Grant (REDLG) program. 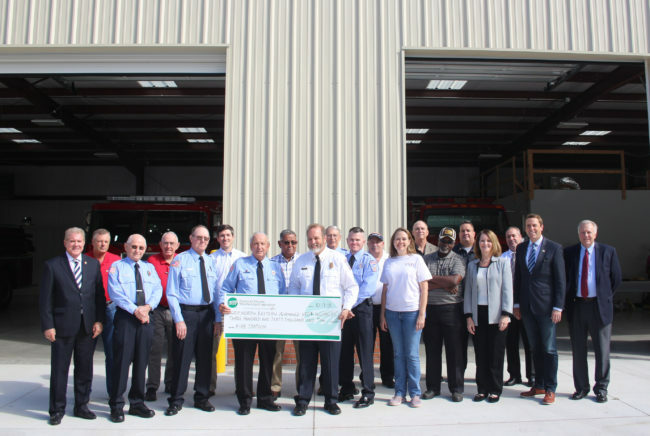 Piedmont Electric, based in Hillsborough, assisted the North Eastern Alamance Volunteer Fire Department in securing a $360,000 zero-interest loan to pay for a new fire station. The new fire station will also help extend their Level 7 Insurance Service Office (ISO) rating across the district. The rating determines insurance rates for homeowners in the area and the lower ISO rating means savings of approximately $292,000 annually for homeowners. Pee Dee Electric, based in Wadesboro, helped the town of Ellerbe purchase a 3 in 1 fire truck. The truck allows room for all necessary equipment and can act as a fire engine, rescue truck and a pumper or tanker. 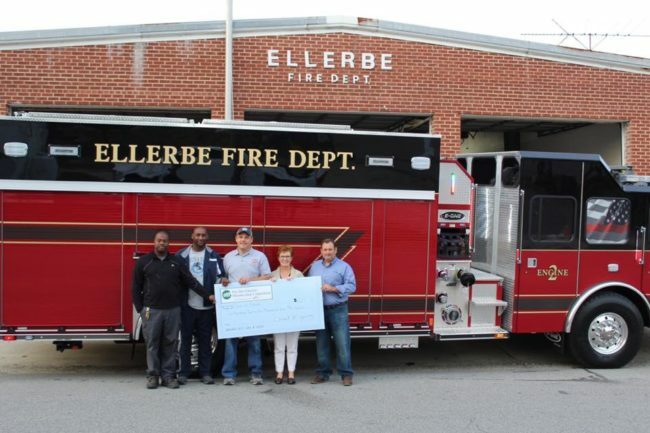 “The purchase of this truck will help the fire department in completing our number one goal: protecting the community,” said Ellerbe Mayor Lee Berry. Pee Dee helped secure a total of $690,000 for the fire truck, including a zero-interest loan, a REDLG grant and contributions from the co-op and the Town of Ellerbe. The department usually receives about 120 calls annually, but that number has doubled in the past 10 years because of a mutual aid agreement with other fire departments and the construction of Highway 73/74. The department’s ISO rating will stay at its current level of 5/9, but has the potential to improve as its capabilities are broadened.